Thanksgiving is a special time of year for all of us as we get to take a break from our busy schedules to share gratitude with those we are close to. Yet, at NuEar we thrive off of thankfulness all year long. Very often do we hear about the notes of praise from happy patients using our hearing aid technology and their appreciation for gaining better hearing. In turn, this inspires all of us to work harder and create better hearing outcomes for more in need. As you can see in the photos included, numerous patients and new hearing aid technology users are eager to share their unique hearing success stories. 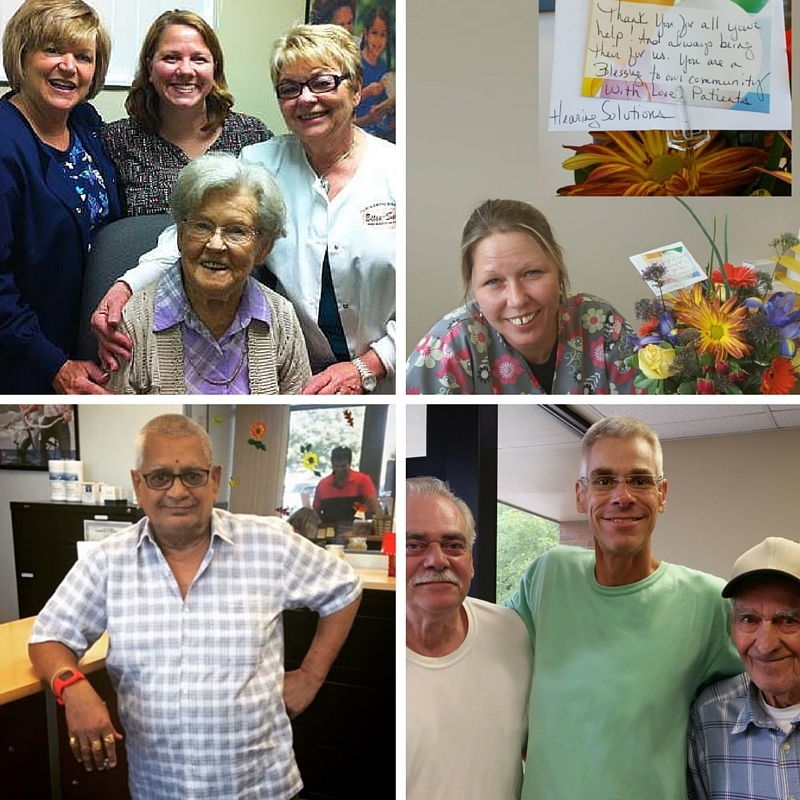 There is nothing that our engineers and support staff are more thankful for than receiving these patient stories. It not only helps make the work more meaningful to know how much of an impact is being made with real individuals everyday but also helps drive our passion to improve the technology for better performance in the future. With holidays and family gatherings coming up make sure you or a loved one are not missing out on the many precious moments due to hearing loss. We know our hearing aid technology and dedicated hearing professional specialists can make a huge difference for you or a loved one as well. To get started with a free consultation simply find the nearest provider to you on our website locator.